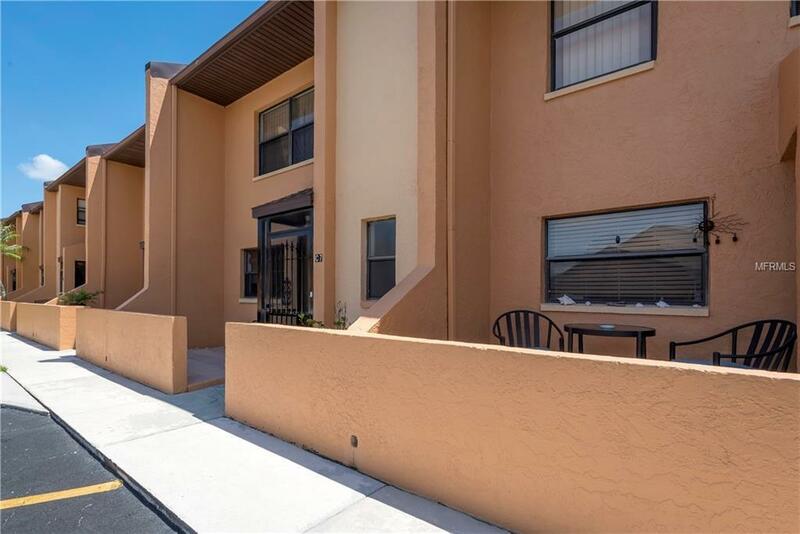 This Aqua Gardens 55+ community townhome has everything done for you. Sold furnished just bring your dishes and toothbrush and you'll be home. Enjoy two master suites upstairs with one of the master suites having a balcony for you to enjoy a beverage and some sunshine or star gaze at night. The owners have updated the kitchen with a new backsplash and range hood PLUS all new kitchen appliances. There is all ceramic tile downstairs and carpeting on the stairway and in bedrooms. The inside laundry has a stackable washer and dryer. The sellers have created a lovely beach/nautical theme throughout and there is a wet bar in the living room and an extra bar with stools in the enclosed lanai. Relax in the heated pool and enjoy your slice of paradise. This home is in a great location close to shopping, restaurants, public library, and so much more.